Ammo Pigs is an action-packed, retro platformer. It looks and plays like the great shoot-em-up, side-scroller, platform games of the DOS era, complete with VGA pixel art graphics. In the future, highly evolved pigs battle sentient slaughterhouse machines for survival. You have been pulled out of retirement for one last mission. Save the baby piggies, rescue your squad-mates, and shutdown the machines once and for all. Battle across broken down factories, bizarre futuristic warehouses, and lava filled boiler rooms! Destroy giant masher wheels and dodge spinning saw blades! Use rocket and bubble shield power-ups. Build your full squad and get three lives per level. 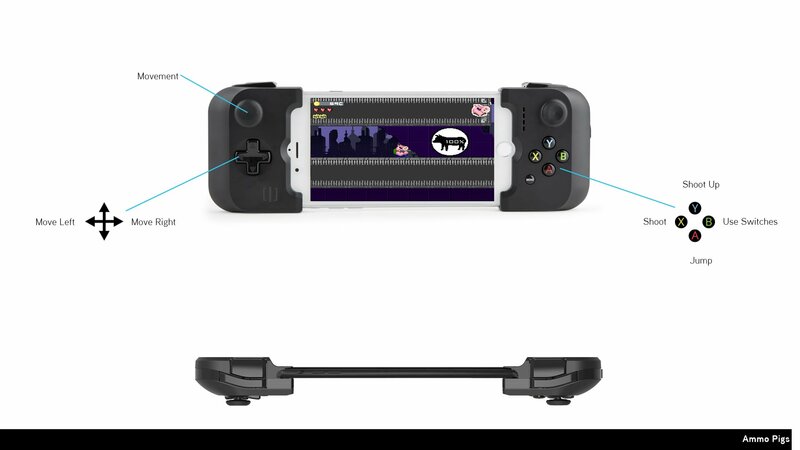 Includes full MFi gamepad support.